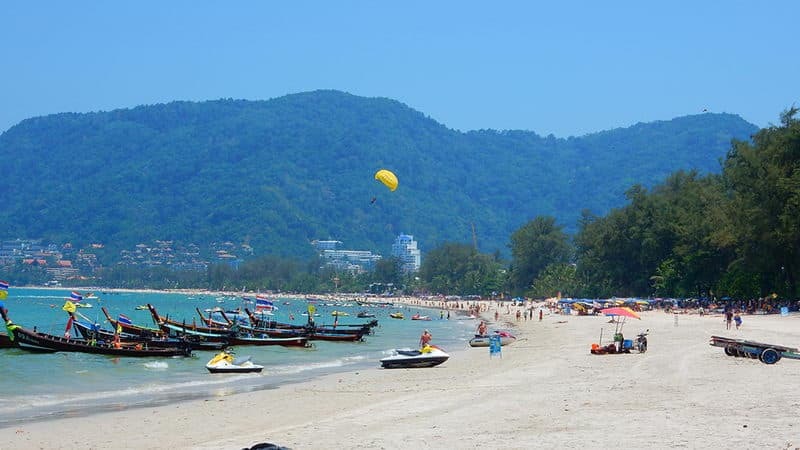 Patong Beach is absolutely the most outstanding beache in Phuket Island. At the same time, Patong beach is the most modern Pu Gu island beach resort. There are colorful coral reefs in the north and south sea of Patong Beach. 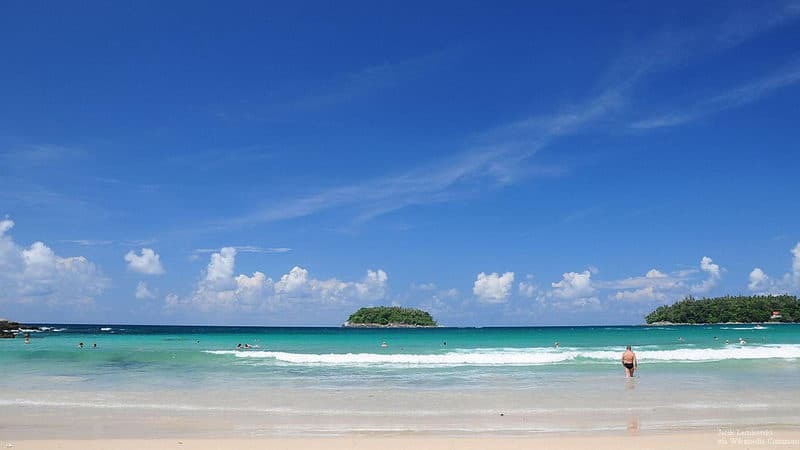 The size of kata Beach is much smaller than Patong Beach and Caron beach. But it has 2 beautiful bays, and the shape is “ W”. On the sunny day, the water of kata Beach is clear, calm and tranquil, and suitable for leisure and diving. 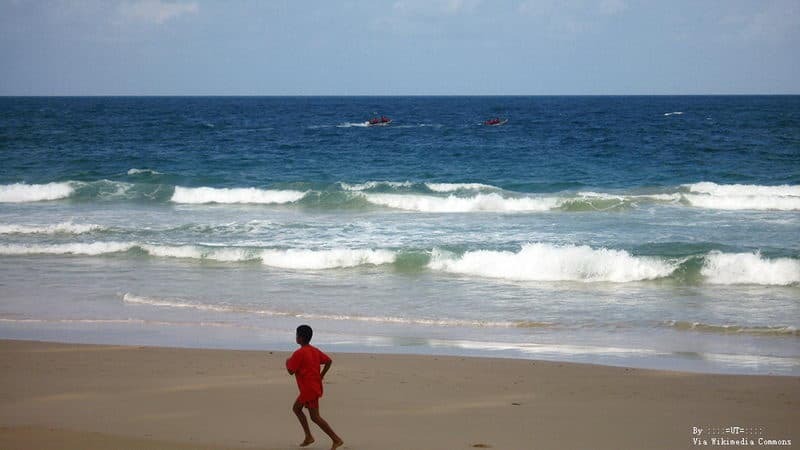 Karon Beach is 20 kilometers away from the city, and it is one of the main beaches on the island. The coastline is curved and slender, the water is clear and the sand is also soft. So it is the ideal place for swimming and surfing. 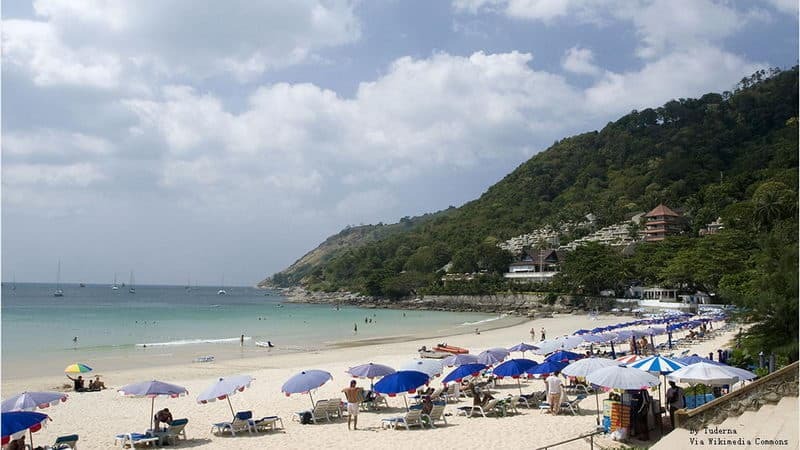 Nai Harn beach is located in the southern coast of Phuket Island, and it is 18 kilometers away from the city. 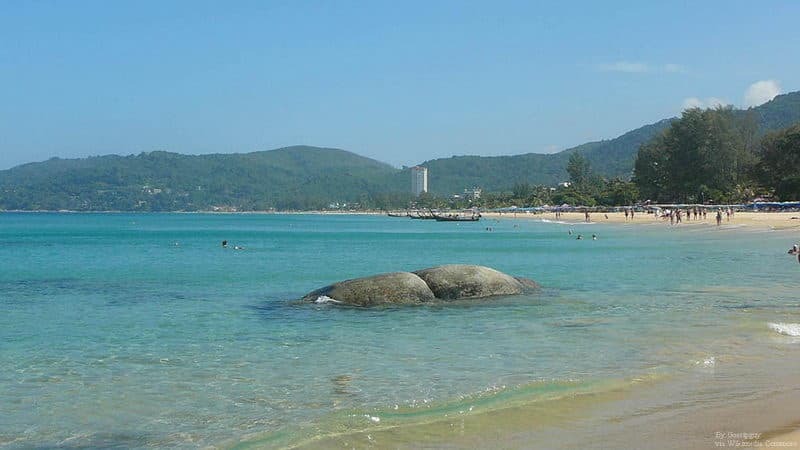 Nai Han beach is a deep bay surrounded by mountains. The cliffs are steep at both ends of the north and south. The scenery is unique. 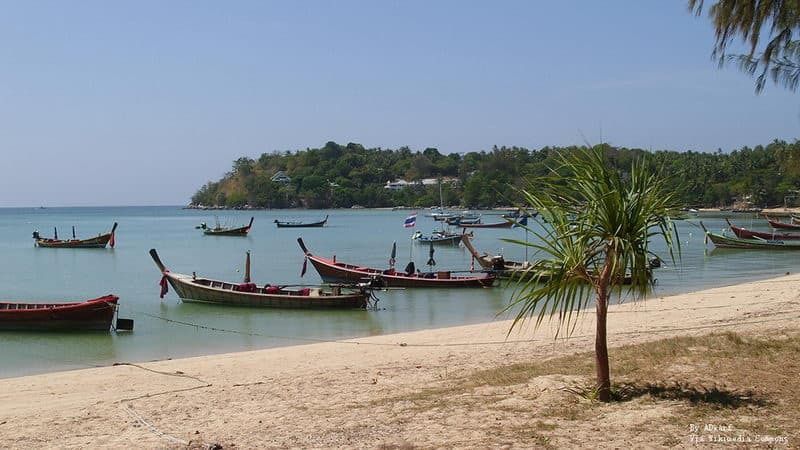 Rawai beach is located in the southern coast of Phuket Island, and it is a famous beach and has a long history in Phuket Island. There are also a few small islands scattered outside the beach, which is the ideal place for swimming and leisure. Bang Tao beach seems to be the longest beach in Phuket Island, it ia 8 kilometers long. There is less sightseeing, and no water activity to attract business. So the atmosphere on the beach is quiet. This is a small beach for fishermen. 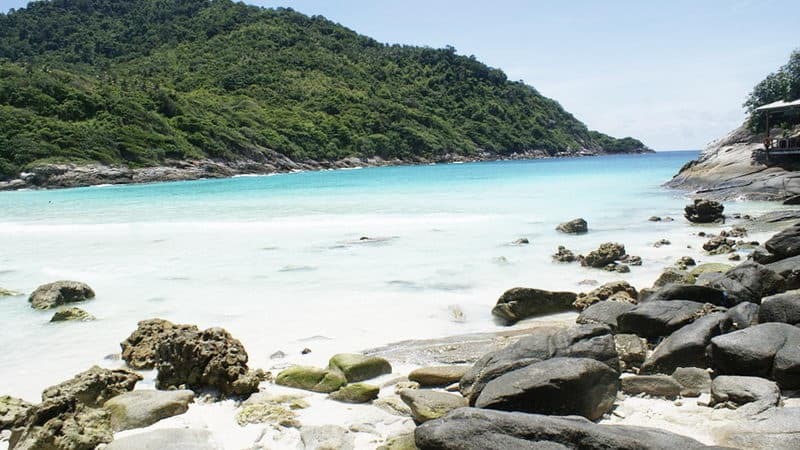 It's the best place to see the beauty of Phuket Island before its development, and it's a secluded beach. But it's good for sitting in the sun and swimming. 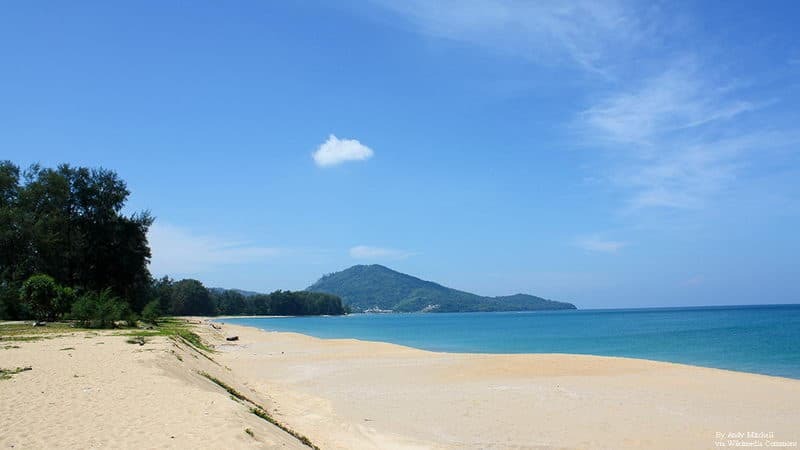 Nai Yang beach is 30 kilometers away from the north of the city, and closes to Phuket Island airport. It has been planned as a National Park now. Palm trees are planted beside the beach, which is suitable for swimming and picnic. It is also a good place for fishing and seeing coral. Phi Phi island is composed of two main sister islands, where the sand is soft and white, the sea is quiet and blue. There are natural caves extraordinary as if done by the spirits. Phi Phi has became one of the hottest resorts in recent years. The island is not only beautiful and complete, but also the natural tropical island scenery and coral reef coast scenery is so unforgettable. The main recreational project of Racha Island is snorkeling, where coral and fish are groups, you can enjoy different fun here.